Welcome to the Bartelme WEB. 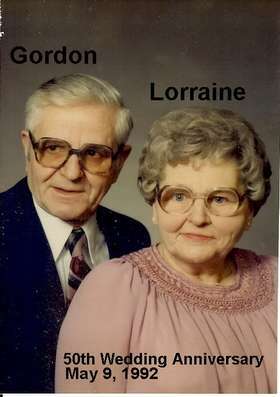 Gordy & Lorraine(Shorty)Bartelme are the patriarch and matriarch of 8 Children, 18 Grand Children and 11 Great Grandchildren. That makes quite a family. Gordy is going strong @ 96, You can find him visiting the Kids, Grandkids, and Great Grandkids. Shorty died January 3, 2003 and is missed by all of the family.